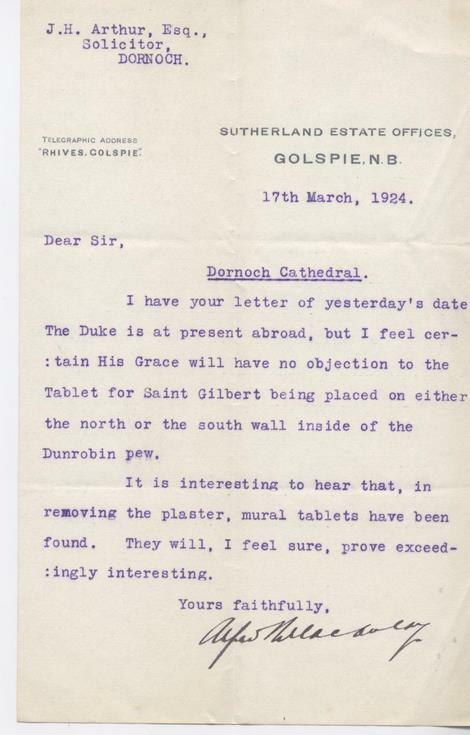 Letter to JH Arthur from the Sutherland Estate Office confirming that there is unlikely to be any objection to the erection of a tablet for St Gilbert inside the Dunrobin pew at the cathedral. The letter also refers to the fact that mural tablets have been revealed by the removal of plaster. Dated March 17 1924.